It is certainly a summer for Mojitos and for anyone who knows a Cosmopolitan from a Negroni, then the announcement of the first ever Top 50 Cocktail Bars is something to be celebrated. Organised by the team behind the popular Top 50 Gastropubs, the event attracted entries from across the UK. 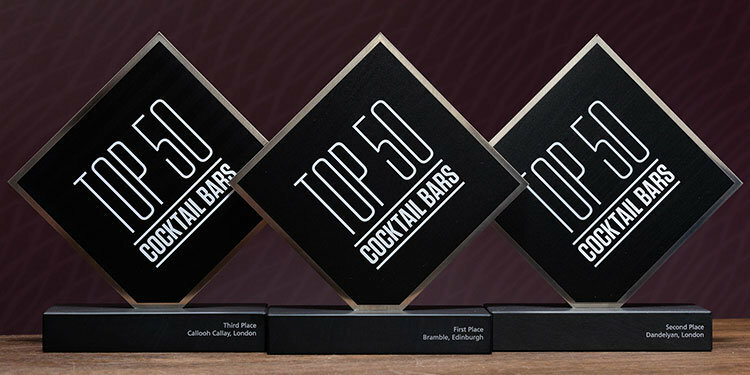 Bramble in Edinburgh, Dandelyan and Callooh Callay both in London, took the top three slots and the winners’ trophies. Produced by Special EFX, the sleek brushed nickel, digitally engraved design mounted on an engraved, grey slate base perfectly reflects the hip and stylish cocktail bar sector. 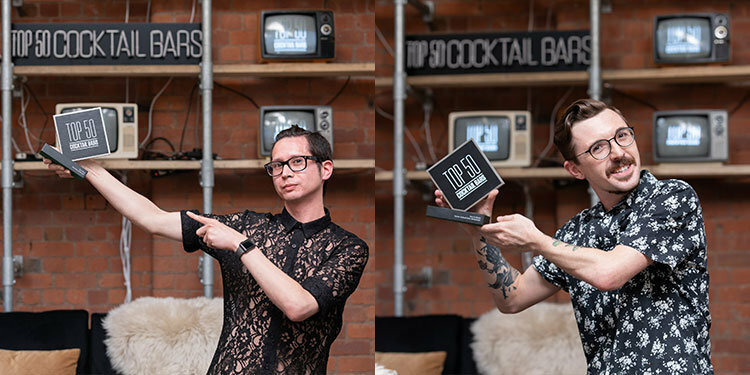 Manchester’s Corner Cocktail Club (One to Watch) and Alex , who is bar manager at Cardiff’s Lab 22 and winner of Bartender of the Year trophy were also recipients of specially-engraved trophies. Bartenders and drinks experts were the ultimate judges and were only allowed to vote for one bar in their region and a further three from elsewhere in the UK. It must have been such a task testing out all the possibles. Bramble is known for its great vibe, DJ programming constantly changing, ‘lush’ cocktail list, and a selection of over 40 gins. Seaweed, hibiscus-infused, cayenne pepper…just a few of the ingredients on offer at the best cocktail bar in the UK.